Buying kitchen cabinets is not only for the sole purpose of having something where you can store your kitchen utensils. Apart from that, this is also a significant investment since the type of kitchen cabinets that you’ll be purchasing determines how long will your next replacement or refacing be (which can become pretty costly). High-quality cabinets should provide practical, user-friendly, and beautiful storage for 20 to 30 years the least. Despite this, many people have been reportedly having problems with their kitchen cabinets much sooner than expected. These issues include crooked doors, deteriorating pre-assembled cabinet drawers, dents and scratches in the cabinet faces, and problems that are too many to mention. These problems arise due to one reason: low-quality cabinet material and construction. Choosing low-quality cabinets does not only cause aesthetics damage and dysfunction, but it also creates unexpected costs when installing and maintaining it. To make sure you pick the kitchen cabinet that best suits your needs, here are some of the qualities that you need to look for. Cabinets with full-back panels are recommended. The construction of the back of the cabinets contributes not only to the strength of the cabinet as a whole but also to its installation process. The most reliable and most durable cabinets use a massive full-back panel, which is made out of plywood. Cheaper ones utilize thin panels, rails, picture-frame construction, and metal brackets and hang rails. Cabinets with weak back panels may cause falling cabinets. Choose a full-plywood set of cabinets. Plywood or particleboard is the gold standard when it comes to kitchen cabinets. This material can withstand the wear and tear of those who will use it. Buying pre-assembled cabinets are great but make sure that its sides and backs are built in full-plywood. What’s nice about this material is it resists deterioration from moisture, and it can also bear the mass of the countertops. The drawers should be made out of dovetail joints. In choosing the drawers for your kitchen cabinets, it is of utmost importance that it can last to several decades and can endure the frequent opening and closing. Of course! Can you imagine how frequent you open your kitchen drawers a day? I bet you’ll lose count. A dovetail joint is made from channels that interlock with each other and from wedge cuts that are usually present at the ends of the drawers’ sides. These cuts are commonly known as pins and tails and are incredibly durable after assembling them. Aside from making it the highest quality of drawers, dovetail ones are the most attractive because of its cleanest aesthetics. You wouldn’t want your drawers bowing or bending or seeing the faces fall apart, right? When talking about cabinet doors, the best pick would surely be full-overlay doors. Since it provides a seamless surface, it makes the cabinet frames unexposed. You have to check if the cabinet door you’re buying hides the cabinet frames for it to have less exposure in dirt and moisture which makes the deterioration faster than usual. The interiors should have melamine. The shelves and the other insides of your cabinets should be strong enough to last till the life of your cabinets without discoloring, bubbling, or wearing. 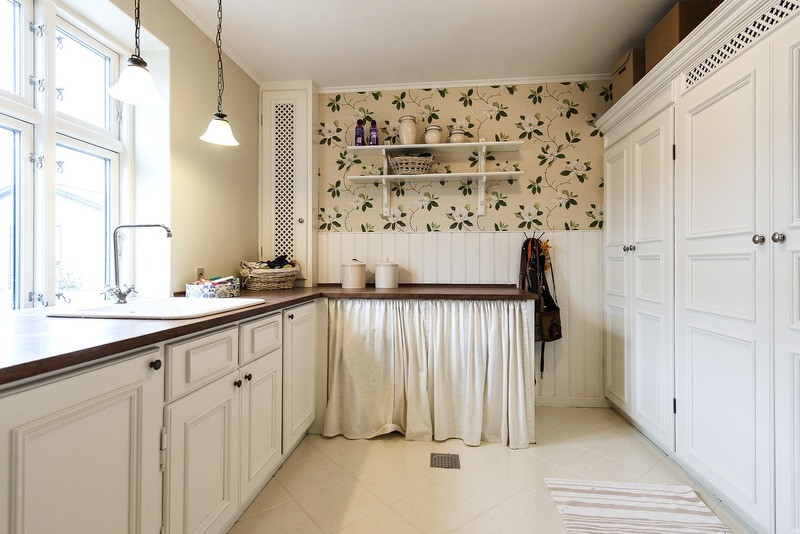 Having light-color-painted interiors will make it easier for the owner to see what’s inside the cabinet. The interior surface of your kitchen cabinets includes a smooth and firm laminate, which is commonly known as melamine, which is applied to the overall material – particleboard, wood veeners, and even plywood. Melamine is fire-resistant, durable, stain resistant, and is okay with being cleaned with harmful solutions. Aside from being used in kitchen cabinets, it is also typically applied in floor tiles, dishware, countertops, and even in whiteboards. When used in cabinets, it is most of the time finished with a light color which provides a bright appearance making the interiors of the cabinets illuminate. Investing in kitchen cabinets can mean a lot especially those who need to renovate their entire house while their budget is tight. 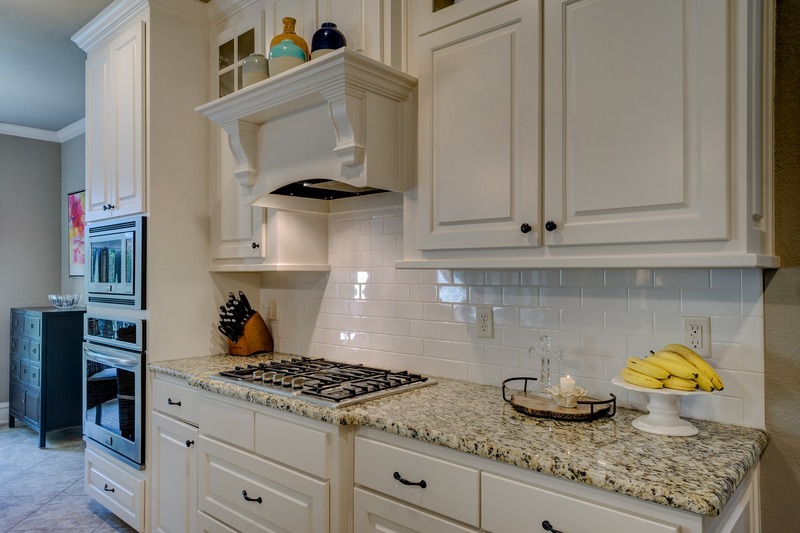 Aside from it adds up to the value of your home as a property, choosing the right kitchen cabinet can also determine when the next kitchen remodeling will be. That is why, as much as possible you have to be smart in spotting the characteristics mentioned above in your desired cabinet. Although purchasing cabinet online offers convenience, it is still different when you get to see your desired product in a physical store. You get to compare the quality, prices, and materials of the cabinets and pick the one that best suits your taste.